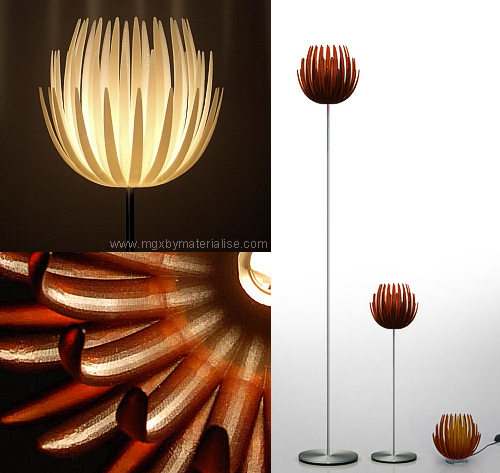 Inspired by the flower of the same name, this delicate and elegant light was first introduced at 100% Design in London in 2003, attracting immediate attention to the revolutionary possibilities of digital manufacturing. The sophisticated diffuser was created as a single object, without joints, using Stereolithography (SLA) a 3D material printing process (video above) that allows for unlimited design possibilities far beyond the capacity of traditional manufacturing processes. The lamp is available in eight shades and it is touch-sensitive: the light can be switched on and off, and dimmed, with just the faintest brush of fingertips.